Welcome to Zurich Instruments' second newsletter of 2015. In this edition we reveal one of the great new features we'll be adding to LabOne with the next release. The graphical lock-in tab offers a new way of controlling your Zurich Instruments lock-in, with a schematic view that will benefit experienced and new users alike. We'll also take a look at the new features we added with the recent release of LabOne 15.01, including additions to the PID/PLL option for the UHFLI. If you still haven't updated your instrument's software go to the ZI software download page to get started. In the last newsletter we launched our new Student Travel Grants and Scientific Workshop Sponsorships and this time we're delighted to announce the awardees. Workshop sponsorships are still available for 2015 and we'll be making more travel grants available for 2016. Finally, take a moment to review our company agenda for the next few months. If you're at any of these events, remember to come and visit the Zurich Instruments booth and enjoy some Swiss chocolate! After the amazing response to the launch of the MFLI 500 kHz / 5 MHz Lock-in Amplifier, we would like to give a few additional insights into this fantastic new instrument. We've designed this lock-in amplifier with the aim of providing the same software that has been developed for high-end instruments to low frequency users as well. Here we're talking about LabOne, which includes an advanced and intuitive look-and-feel user interface. The capability of working with multiple high-resolution monitors, displaying tools and settings at will, has already been adopted by many laboratories in the world. With the availability of LabOne on the MFLI, many more researchers will now have access to the unique user interface and to the most open programming interfaces that the test & measurement market has ever seen. With the next LabOne release we are going to introduce the graphical lock-in control, demonstrating again our technology leadership. This is part of our ongoing effort to help reduce the complexity of your lab setup, and it consists of a schematic based instrument control capability. It works on standard computer screens as well as touch devices and enables the user to work faster, more intuitively and receive a more comprehensive overview of their measurement unit. We believe that buttons on instrument front panels are a thing of the past - how many buttons can a front panel accommodate anyway? Usually a physical button has many functions allocated to it, i.e. 1 button = many functions, which is complex and counter intuitive. Moreover, competitors will not be able to convince us that working on a small VGA resolution screen is an attractive proposition when one can use a screen with WUXGA resolution. The graphical UI is today's way of working, with graphics that scale and adapt to any screen resolution and where 1 control element = 1 function. We believe it's as simple as that. Zurich Instruments' LabOne lets the entire real estate of a screen be used, allowing more information to be shown and offering more data analysis capability. Its UI scales dynamically to any screen resolution and supports multiple synchronized screens. Moreover, readability at long distances is provided by the simple zoom function of your web browser - up to 400% - meaning you can check your data from across the other side of the lab. LabOne allows you to use your resources smartly. are now much more easily implemented. The different model parameters are conveniently accessible in the LabOne user interface. A visual display of the model transfer functions and step responses between various points of the control loop help to gain a thorough understanding of the experiment when compared to the data retrieved from the experiment, obtained using the Software Trigger or the Sweeper tools. For many applications a control loop with a predetermined loop filter bandwidth is only the starting point from where further optimization is needed. There is a variety of different ways to achieve optimal control but for most applications it is sufficient to minimize the root mean square of the PID error, i.e. 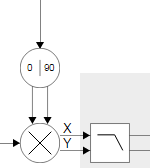 the PID input signal minus the PID set point. In particular, in experimental setups with variable and highly non-linear components (e.g. lasers), the required set of parameters can change on a regular basis. With LabOne 15.01 this process can now be left entirely to the new Auto Tune feature, which varies an adjustable set of loop filter parameters in order to achieve minimum PID error. Over the course of these adjustments the effective loop filter bandwidth can change substantially. The combination of the PID Advisor and Auto Tune with the Phase Unwrap to ±64 π allows for excellent and robust lock performance within a few clicks. Moreover, the LabOne toolset offers a full characterization in time and frequency domain plus a visual comparison to either of the various model functions. With the release of LabOne 15.01 we also adjusted one of the major specification parameters of the UHFLI Lock-in Amplifier: the typical input noise at 100 kHz is now 4 nV/√Hz instead of 5 nV/√Hz. This parameter is crucial in determining the signal-to-noise ratio for a given measurement time and is of great importance to most users and for many applications. The UHFLI has by far the largest input bandwidth of any lock-in amplifier in the market today and at the same time indisputably the best performance regarding noise and dynamic reserve. When the UHFLI was introduced just over 2 years ago we decided to start with a conservative value to make sure we kept our specification promises. With many batches produced and operating in a wide range of applications, we have now gained sufficient statistics to confidently adjust the specified noise parameter. There were no changes made to the hardware and all existing and future customers benefit from the same great performance. Our winners have won a grant of CHF 1,500.00 to travel to one of our attended conferences around the world. We are curious to see where they choose to go and will keep you updated on our social media platforms. So keep an eye on Twitter and Facebook. We thank Michael, Bradley and Fatemeh for their contribution of this year’s Travel Grant Award and wish them a safe trip and a fruitful conference. To all other contestants, looking forward to next year! In addition to the three travel grants we also announced our scientific workshop sponsorships, designed to support research teams who are organizing local scientific workshops or events by offering a monetary contribution to help cover running costs. The Symposium Stuttgart March 2015, organized by David Weber (University of Konstanz), was awarded a Zurich Instruments sponsorship. This symposium on nanocontacts involving molecules, magnetism and superconductivity took place on 26-27 March at the Max Planck Institute for Solid State Research in Stuttgart. We have enjoyed participating to the fruitful and interesting workshop. Pictures will be added to our Facebook and Twitter page, so like and share our page and stay up-to-date on all our activities! We're pleased to announce an updated version of LabOne. With LabOne 15.01 a range of new functionality is added that further expands your Instrument's flexibility whilst maintaining the highest quality standards you have come to associate with Zurich Instruments. This update is free of charge for all Zurich Instruments customers and highly recommended to all users. The installers are available from the download page and you need to log in with your account credentials. Updating is advised not only to enjoy the new functionality but also to make sure that you can continue to receive the best possible support from our customer service team. Please note, the UHFLI firmware has also been improved and a hence a firmware update is necessary. The Firmware update guide shows how to do that quickly. Please refer to the Release Notes file in the download area for a full list of changes, as well as for instructions how to update the software.